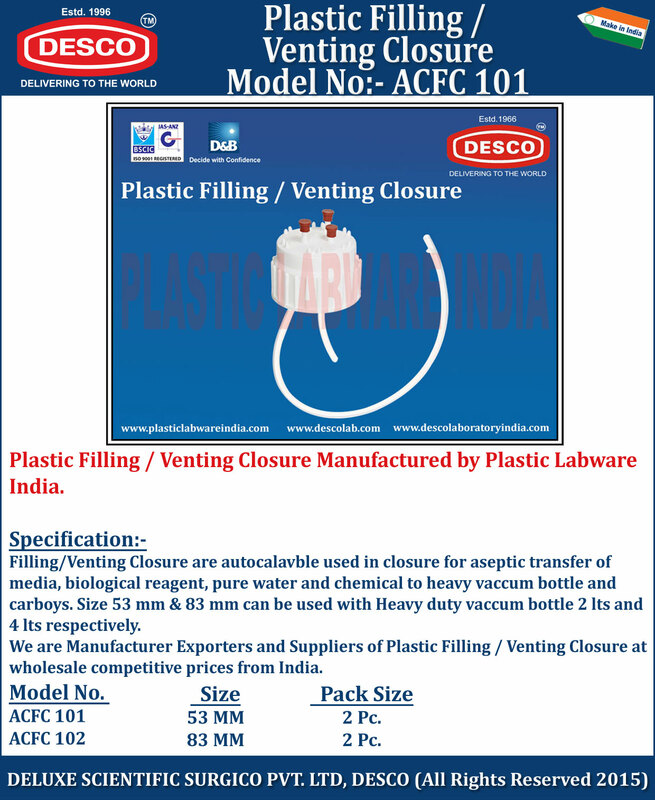 Filling/Venting Closure are autocalavble used in closure for aseptic transfer of media, biological reagent, pure water and chemical to heavy vaccum bottle and carboys. Size 53 mm & 83 mm can be used with Heavy duty vaccum bottle 2 lts and 4 lts respectively. We are Manufacturer Exporters and Suppliers of Plastic Filling / Venting Closure at wholesale competitive prices from India. ACFC 101 53 MM 2 Pc. ACFC 102 83 MM 2 Pc.